After missing out on Arsenal superstar, Alexis Sanchez, Manchester City are interested in signing Algerian international, Riyad Mahrez. 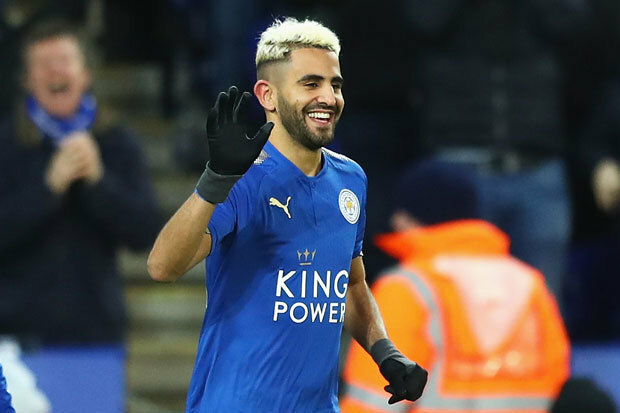 The 26-year- old winger has never hidden his intention to leave The King Power Stadium, as he believes he is stalling in Leicester, having won the league and The Player of The Year Award in the stunning 2015/16 season. According to bookmakers, Mahrez is expected to join Manchester City before the end of the transfer window. It is believed the league leaders have moved ahead of Liverpool and Arsenal in the race for the signature of the classy left-footed genius. Despite the stance of Leicester manager, Claude Puel saying that the player won’t be sold, Mahrez is expected to move to the Etihad stadium. Leroy Sane and Gabriel Jesus are currently injured, which means that Guardiola needs another player to add to the squad. Arsenal, Liverpool and Chelsea have been linked to the player, though City’s lure of superior wages and prospect of winning the league is believed to have swayed Mahrez. But according to a host of bookmakers, City may be about to complete another big-money move before tomorrow’s deadline.” The Algerian can be backed at 4/5 with BetVictor to make the move” while Arsenal can be backed at 16/1 to sign the player. Liverpool are priced at 20/1 to complete a late deal. Other bookmakers have also slashed the odds of Mahrez joining Guardiola in Manchester. Mahrez was expected to leave Leicester in the summer before a deadline day move away from the King Power Stadium broke down. Mahrez is a classy left footed winger that predominantly plays from the right, cutting inside, shooting and finding his teammates with his wonderful passes and vision.